The public may be divided on whether to support Apple or the FBI over their latest legal battle on encryption, but tech leaders and privacy groups are taking a clear stand with Apple. A large number of leading tech companies – including Apple’s biggest rivals – joined Apple’s legal fight on Thursday. Tech leaders, including Google, Microsoft, Facebook, and Yahoo announced a joint brief supporting Apple’s efforts to challenge a court order that requires it to help unlock an iPhone used by a terrorist in the San Bernardino attacks. The American Civil Liberties Union filed the first of the amicus briefs in the federal court supporting Apple’s decision to challenge the February 16 court order. The court order demanded the company to write a modified version of its mobile software to help law enforcement bypass phone’s security. Apple is currently challenging the order, warning the public of a dangerous precedent. While the government can in some circumstances require private parties to support law-enforcement investigations…law enforcement may not commandeer innocent third parties into becoming its undercover agents, its spies, or its hackers. Along with ACLU, Microsoft, Google, Twitter, Electronic Frontier Foundation (EFF), and several others are going to submit amicus briefs on Apple’s behalf by the March 3 midnight deadline. Apple has set up a dedicated page on its website to collect all the briefs. A joint amicus brief from the Computer and Communications Industry Association, Internet Association and the i2 Coalition of Internet warned that “if the government arguments prevail, the Internet ecosystem will be weakened, leaving Internet users more vulnerable to hackers and other bad actors.” Amazon, Google, Pandora, and Samsung are members of the CCIA. Internet Association also has Apple’s rivals as members, including Microsoft, Yahoo, Google, Facebook, and Dropbox. Encryption is vital to the safety of activists, journalists, and all other users around the world, protecting their most personal information from being compromised and used against them. In the most extreme cases, the strength of the encryption is actually a matter of life and death. Apple has said that creating a new, custom version of iOS is unprecedented and unconstitutional, arguing the judge in the case had overstepped her authority. Earlier this week, a New York judge ruled in favor of Apple, in a similar case. 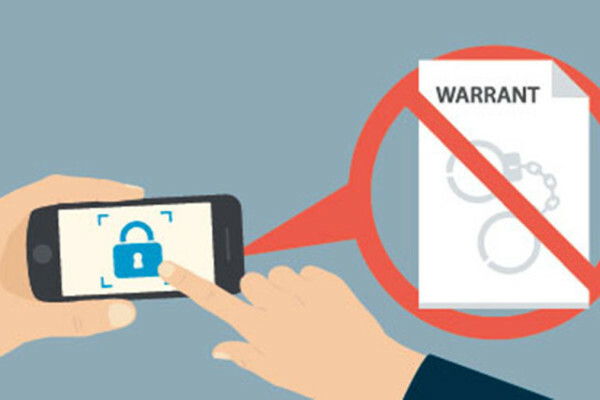 The FBI argues that encryption creates “warrant proof zones” for criminals crippling law enforcement efforts. A court hearing is set for March 22 in the federal court to determine if Apple should be forced to comply with the FBI’s demands.